Verm-X is a 100% natural pellet for free range chickens that helps maintain all areas of intestinal hygiene whilst being gentle on the hen's gut and digestive system. When fed over a period of time it works to create an environment in the gut that is able to eradicate and expel any intestinal challenges, offering natural and daily protection. 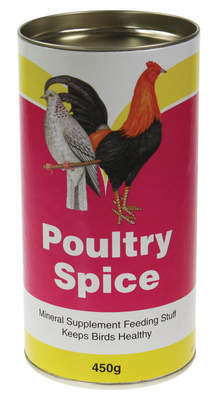 Verm-X works more gently than conventional pharmaceuticals and it will give your chickens continous protection. 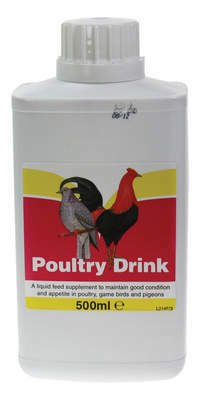 Although you cannot prevent your hens from picking up intestinal challenges, this will help to stop them from settling and doing damage. Verm-X is a 100% herbal formulation, made from non-GM, natural ingredients, and it is therefore classified as a complementary feed stuff. 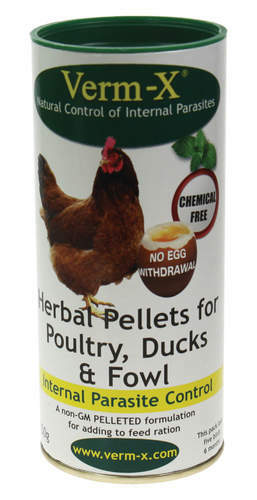 Being a 100% natural herbal formula there is no need to stop using the eggs whilst treating your hens. 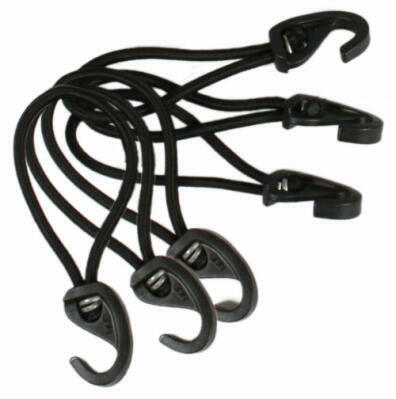 Most people choose to use Verm-X alone, but some choose to alternate it with a pharmaceutical. This is completely safe as there are no ingredients in Verm-X that would inhibit the work of any ingredient used in pharmaceutical products, or vice-versa. 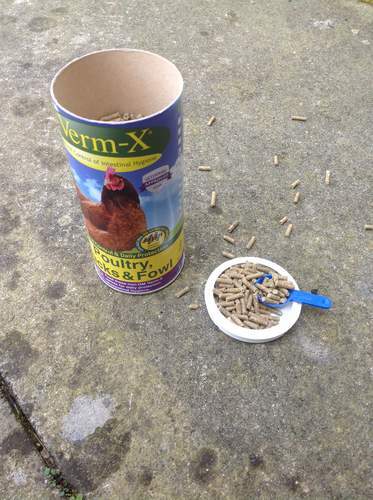 Pellets offer a great alternative to liquid Verm X as they can easily be mixed into feed. The pellets are also popular for adding into grapes and feeding directly. Doseage: Add 2.5g per bird per day as a top dressing to their regular feed ration. 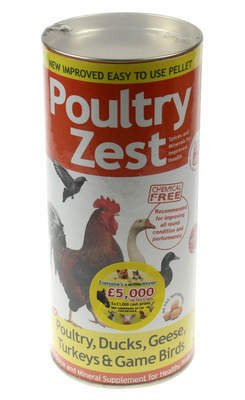 A 250g tube of pellets will last 5 birds over 6 months. 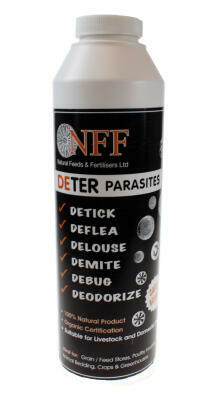 The wormer is in Tiny pellet form. Looks easily eaten. Unfortunately our hens don’t care for the smell. They shake their heads and walk away. We tried putting them in minimarshmellows. They eat around it. I haven’t been able to hide it in something where they will eat it and not find it. I personally like the smell of the herbs. I think we just have oddball hens. I will be giving some to friends to see if their flocks eat it since mine are picky chickys! My girls loved this product. will be buying it again.